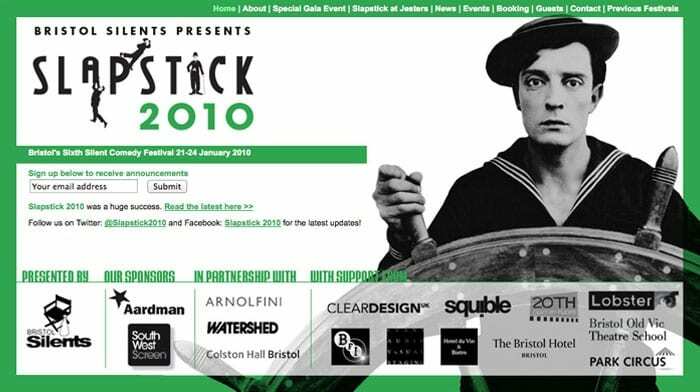 Slapstick Event Archives - Slapstick | Bristol's Silent Comedy Festival. Join us for a star studded big screen experience of the classic cult musical comedy: The Rocky Horror Picture Show (1975) with pre-show chat from superstar Jason Donovan. Along with a complete screening of the film, Jason Donovan* who played the lead role of Frank N Furter in the cult musical’s 25th anniversary tour on stage , will take part in an onstage chat with writer Robert Ross about his passion for all things Rocky Horror before the film commences. From lace-up corsets and black stockings to leather jackets and shiny gold pants, fans have been giving themselves over to absolute pleasure by dressing up as their favourite “Rocky Horror” characters for over four decades, and this event will not disappoint even the most creative exhibitionists. So feel free to come dressed as your favourite character (or not, if you’re feeling shy!) as Jason will be judging the winner of the best costume worn by attendees. With pre-show live entertainment from premiere drag performer in the foyer too… it’s a Rocky Horror night to remember! 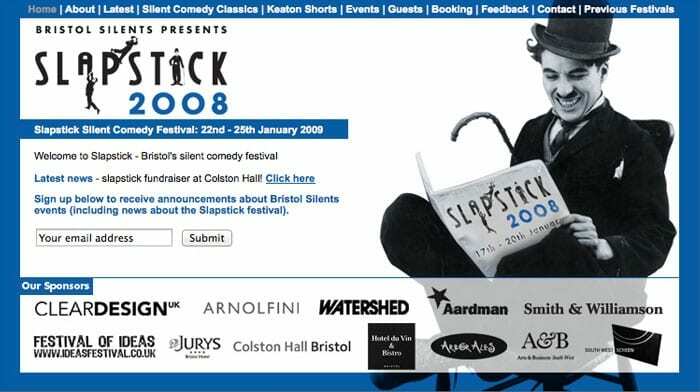 Check out www.slapstick.org.uk for the full 2018 lineup, or click here for the Slapstick Festival shows taking place at Colston Hall. Download our festival guideBook Watershed Events Now! 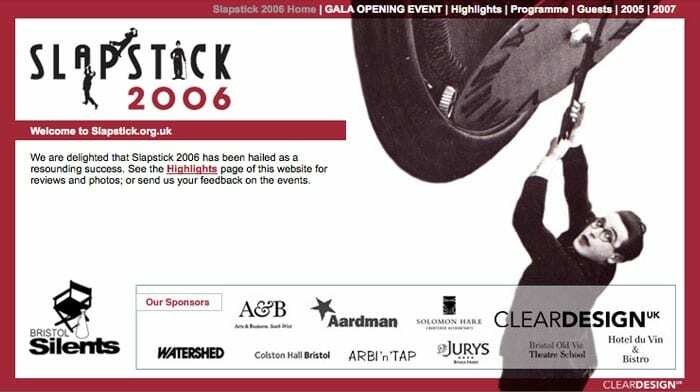 Book Slapstick Bristol Old Vic Takeover Now! Step inside the iconic Bristol Hippodrome for a mesmerising evening of live music-to-film in an event showcasing your all-time favourite comedy stars. This spectacular classic comedy gala is perfect for film and comedy fans of all ages. Your host for the evening will be the comedian, actor and satirist Marcus Brigstocke. Highlights from the evening include a complete screening of Charlie Chaplin’s outstanding comedy masterpiece Modern Times (1936) on a vast HD screen, while Chaplin’s own acclaimed score is performed live by a 40-piece orchestra: Bristol Ensemble conducted by maestro Günter A. Buchwald. It features several of the most celebrated sequences in comic cinema. The score, by Chaplin himself, is performed in a restored version and includes a romantic theme that would be made famous through the hit song “Smile”. Plus short comedies from Laurel & Hardy and Buster Keaton, both with live musical accompaniment, additional entertainment from the brilliant comedian magician John Archer and live pre-show entertainment in the foyer from Circomedia. It all makes for a truly thrill-packed evening not to be missed. Join us for an evening of unadulterated cinematic joy. Sit back in the grandeur of Bristol Cathedral and enjoy three classic silent comedies on the big screen accompanied by live music, featuring Harold Lloyd’s classic feature For Heaven’s Sake (1928) and films from Laurel & Hardy and Anita Garvin & Marion Byron. Your host for the evening is Infinite Monkey Cage (Radio 4) co-host, stand up comedian and writer Robin Ince. With live accompaniment from the European Silent Screen Virtuosi featuring Günter A. Buchwald, Frank Bockius, Romano Todesco and Marc Roos. (Tickets via Watershed). In partnership with Bristol Festival of Ideas. Join popular children’s tv presenter Andy for a laugh-out-loud extravaganza film show created especially for your little ones. Perfect for children, Andy will share some of his favourite funny film clips. He’s chosen a selection of hysterical silent comedies and animations to delight and entertain your children. Watch and giggle at the best of Laurel & Hardy, Charlie Chaplin, Buster Keaton and MORE! Marvel at the world’s first animated Dinosaur in Gertie the Dinosaur (1914). Delight at Andy’s mad-capped antics and tongue-twisting raps. In a bright and safe film world from the past, Slapstick Sunday with Andy Day captures young children’s imaginations and introduces them to the wonderful world of classic comedy. For all ages. 18 months and under go free! 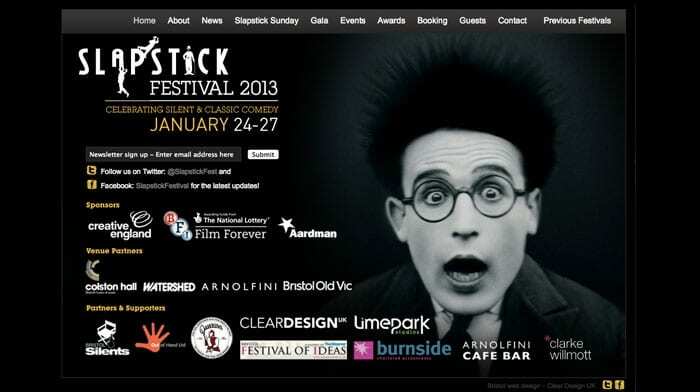 The 15th edition of Slapstick Festival to Bristol has now finished. This year the festival featured both a standalone gala day in February and the main festival in January. Not only did this year’s festival feature a record 34 events in total, but it was also notable for our busiest single day ever when we had over 2500 people attend two shows at Bristol Hippodrome! These included our Silent Comedy Gala which showcased a 40 piece orchestra and a rare screening of Chaplin’s masterpiece MODERN TIMES,as well as shorts by Laurel & Hardy and Buster Keaton. Marcus Brigstocke hosted the evening in inimitable style. This followed a matinee show with CBeebies star Andy Day who brought his favourite Slapstick clips to a younger audience and their parents. All in all, 2019 was a breakthrough year for Slapstick Festival! 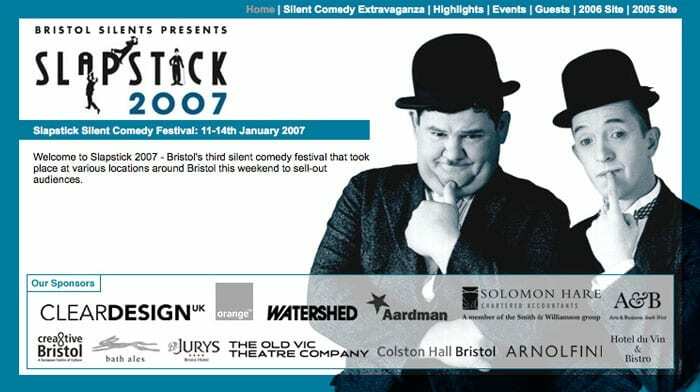 The year’s main festival was divided between a strong archive programme of silent comedy at Watershed (16-20 Jan) and a classic comedy strand at Bristol Old Vic (18-20 Jan), with our guest curator Richard Herring programming a number of special events at the latter. From classic Laurel & Hardy shorts accompanied by a live piano, to behind the scenes chats with Dad’s Army vicar, Frank Williams and the creators of the Inbetweeners, it was eclectic and sublime, with something to appeal to everyone. 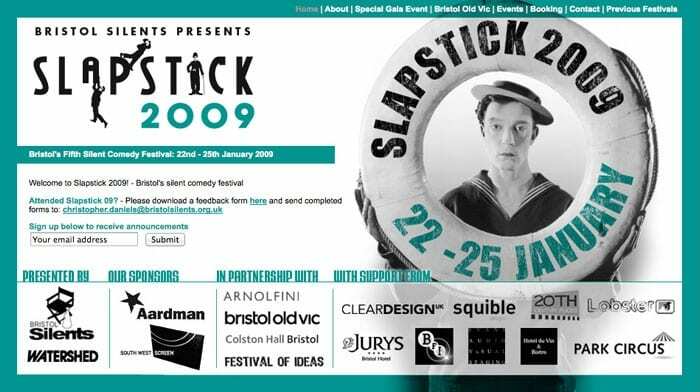 We even took Slapstick to Bristol Cathedral for the first year ever! And with 33 events over six days, it was our biggest Slapstick! For this edition, many of our ‘family’ of special guests are returned including Bill Oddie, Graeme Garden, Tim Brooke-Taylor, Barry Cryer, Kevin Brownlow, David Robinson and Lucy Porter. We were also excited to introduce brand new guests including Little & Large, Sally Phillips, Joe Thomas, Dad’s Army’s Frank Williams and veteran comedian Jimmy Cricket. Do check out a selection of photos from this year’s festival by clicking the button below. Finally, people may have known our Guest Liaison team leader: Martin Hammond. Sadly, Martin passed away suddenly just after the last festival. A familiar sight at Slapstick, Martin is an irreplaceable figure. He will be sorely missed and we dedicated the 2019 edition of the festival to him. We’ll miss you, Martin! 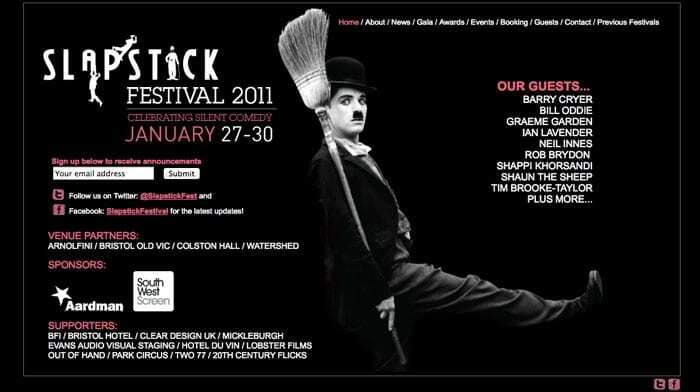 We’re always on the lookout for volunteers to help us out with Slapstick Festival. There are lots of roles available so if you’d like to get involved there’s probably something for you! To celebrate Slapstick 2019, Laurel & Hardy Store merchandise will be available to purchase at the festival, including such items as t-shirts, mugs, prints, posters, novelty items, umbrellas, aprons and tea towels – all featuring our favourite comedy duo. You can also buy items now from their website using the button below – and know that as an added incentive for you to get something Slapstick gets a small contribution towards the festival’s coffers from every purchase made via this link! 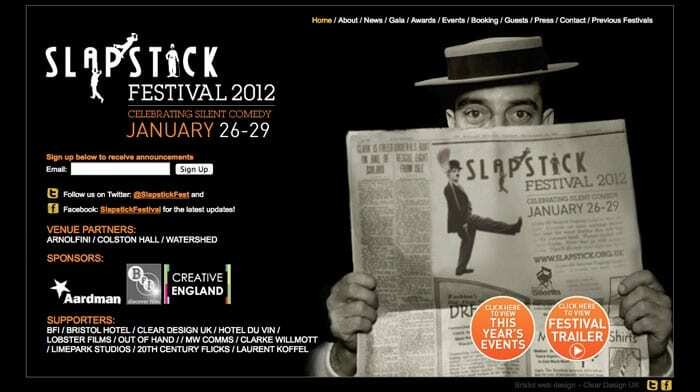 Keep up to date with Slapstick News, Offers and Competitions!